An unidentified flying object was shot down in the skies above Israel's Dimona nuclear plant, pictured here in 2004. 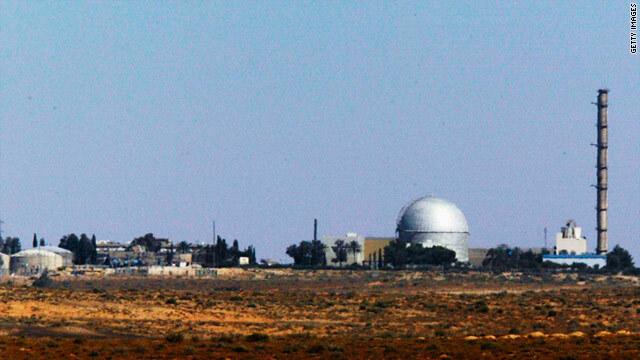 Jerusalem (CNN) -- The Israeli Air Force shot down an unidentified flying object over the Dimona nuclear plant in the Negev Desert Thursday, the Israel Defense Forces said. The Israeli daily newspaper Haaretz reported that last October "IDF warplanes intercepted an Israeli ultralight aircraft that accidentally flew into the area and forced it to land at an airstrip in southern Israel." It also reported that "an Israeli surface-to-air missile downed a crippled Israeli fighter-bomber that strayed into the restricted zone" during the Six Day War in 1967. The craft's pilot was killed.